Where does a quartz watch get its energy? From the very beginning, Seiko has been a pioneer of quartz watches. The Japanese manufacturer has been the driving force behind developments in quartz watches since 1969. Today Seiko offers these watches in every price range. On December 25, 1969, Seiko heralded a small revolution: It was on this day that the Japanese watch manufacturer introduced the Astron 35SQ, the world's first quartz watch ready for series production. Since then the Japanese watch-making giant has continued to lead the way in the development of quartz watches. In 1988, they introduced the first watches with the Automatic Generating System, a technology which we call "Kinetic" today. These watches are charged using the movement of a rotor, as found in mechanical watches. However, instead of winding a spring, it generates electrical energy. This energy is then saved in a battery. A further milestone for Seiko was the Spring Drive. It is essentially a mechanical automatic movement with a new escapement system controlled by a quartz crystal. Seiko's exquisite Grand Seiko collection has featured watches with quartz movements since 1988. The exceptionally precise 9F calibers were introduced to the line in 1993. These movements deviate a maximum of +/- 10 seconds per year. The second hand points directly at the second markers and avoids reverberations thanks to an additional wheel. Fluctuations in temperature are constantly being measured and the resulting deviations are corrected. All of this is contained inside classically modest stainless steel cases with matching stainless steel bracelets. The entry price for high-precision quartz watches in the Grand Seiko collection sits around 1,650 euros. For this price, you can get a Grand Seiko SBGX261 in mint condition with a diameter of 37 mm and the caliber 9F62. The Seiko Astron 35SQ is the mother of all quartz wristwatches. 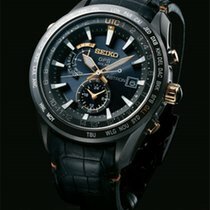 In 2009, Seiko reissued the quartz Astron once more as the Commemorative Edition S23617J1. The precision caliber 9F62 ticks inside its 41-mm black titanium case. The strap is made of black silicon. 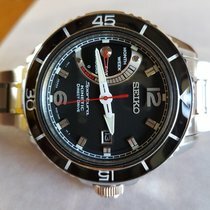 Seiko released 200 of these watches. If you want one to call your own, plan to spend around 3,500 euros. 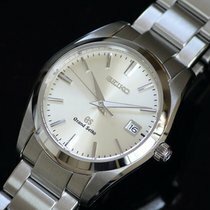 Seiko continues to use quartz movements in their current Astron models. However, they now feature solar technology and GPS . The changing of batteries is as much a thing of the past as setting the time – light provides the necessary energy, and the watches determine their exact position, time zone, and time using four or more GPS satellites. Younger Astron models also have as basic features daylight savings functions and perpetual calendars, which will be accurate until February 28, 2100. However, there are differences among models when it comes to complications. The Astron GPS Solar Chronograph SSE003J1 has a full-fledged stopwatch function that measures up to six hours, for example. You can acquire such a watch for about 1,590 euros. On the other hand, the Astron GPS Solar Dual Time with caliber 8X53 can display a second time zone using a subdial at 6 o'clock. The version SSE077J1 with a stainless steel case and bracelet costs about 1,250 euros. The Astron GPS Solar is also available with an outsize date. You will perhaps find the Astron GPS Solar Novak Djokovic Limited Edition SSE143J1 with caliber 8X42 particularly interesting. Its outsize date display is located at 12 o'clock. This 45-mm stainless steel watch with a hard black coating and black silicon strap costs approximately 1,590 euros. Models from the Prospex collection are especially popular among extreme athletes. In particular, divers will find what they are looking for here. An example is the Prospex Solar Chronograph Diver's Limited Edition SBDL045 with a water resistance of up to 200 m. It is powered by the solar quartz movement V175, which features a stopwatch for measuring times of up to 60 minutes alongside a 24-hour display. The price point for these watches is around 430 euros. Conversely, Seiko utilized a Kinetic caliber in its Prospex Kinetic GMT Diver's diving watch. The wearer's movements provide the caliber 5M85 with energy. You should set aside close to 400 euros for the variant SUN019P1 with a stainless steel bracelet. The model SUN019P2 with a black urethane strap costs around 450 euros. If you're in the market for an especially flat and classically stylish watch, look no further than the quartz models in the Premier collection. The stainless steel case of these two-hand watches is only 6 mm thick thanks to the quartz caliber 7N39. With a white dial, a date display at 6 o'clock, and a leather band, an SKP395P1 costs about 250 euros. The solar models in the Premier collection are also quite flat at 11 mm. Since these watches get energy from ambient light, there's no need to worry about changing the battery. You can get an SNE455P1 with a black dial and stainless steel bracelet for as little as 280 euros. 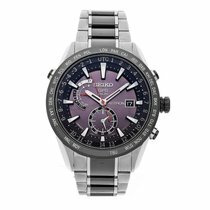 Seiko also offers watches with Kinetic technology and perpetual calendars in its Premier collection. The caliber 7D56 shows the month and leap year on a subdial at 6 o'clock, while the outsize date can be found at 12 o'clock. An additional 24-hour display is located between 3 and 4 o'clock. Be prepared to spend around 550 euros for a Premier Kinetic Perpetual SNP143P1 with a stainless steel bracelet. Seiko consistently turns to modern quartz technology for the current models of the Sportura collection. The solar caliber 8X22 is used in the Sportura GPS Solar World Time. In addition to a world and daylight savings function, this watch also features a perpetual calendar, which will be accurate until February 28, 2100, and offers the possibility to set the time and time zone using GPS. The price for an SSF003J1 with a stainless steel bracelet sits around 750 euros. On the other hand, plan to spend close to 400 euros for a Sportura Perpetual Solar Alarm Chronograph SSC357P1. This watch features not only a perpetual calendar and a stopwatch function but also an alarm function. Last but not least is the Sportura Kinetic GMT. Seiko decided on the Kinetic caliber 5M85 with a date display at 3 o'clock and a second time zone for these watches. Plan a budget of around 350 euros for an SUN015P1 with a stainless steel bracelet. Every watch needs a time keeper. While a balance wheel powers mechanical watches, quartz watches are driven by a quartz crystal, hence the name. Since the late 19th century, people have known that the so-called piezoelectric effect can occur with certain metals and crystals. This means that an electric voltage arises when such crystals are deformed. This process is also reversible: when you apply electricity to these crystals, they become deformed. All of that is to say that you can get a quartz crystal to start oscillating by applying an electric voltage. This is exactly what is done in a quartz watch. The ideal shape for such a quartz crystal is that of a tuning fork. Rod-shaped quartz crystals may also be used in lower-priced movements since they are less difficult to produce. No matter what shape the quartz is, it powers the watch with a consistent frequency. Most modern quartz watches have a frequency of 32,768 Hz. Using a microchip, this frequency can be quite easily converted into a stroke the length of a second and sent as a signal to a stepping motor. In turn, the motor moves the hands using a gear. Quartz watches need a source of electrical energy. In the most simple watches, this energy comes from a small battery. Once its energy is used up, the battery needs to be changed, which is not only expensive and time-consuming but also a burden on the environment. For this reason, modern quartz watches take advantage of other technologies, such as solar cells. These cells transform ambient light into electrical energy and then store it in small rechargeable batteries. Even kinetic energy can be used. The movement of the watch on the wrist sets a rotor in motion, just as in a mechanical watch with an automatic caliber. This electrical energy is also stored in a rechargeable battery. In the beginning, quartz clocks were large, heavy, and anything but transportable. 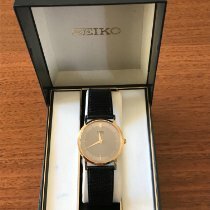 However, after ten years in development, Seiko's engineers managed to comfortably fit the necessary circuitry on an integrated circuit (IC) inside a wristwatch in 1969. The watch was effective. It was far ahead of most mechanically powered watches in terms of accuracy and power reserve. Not even the price, which at the time was that of a small car, could stop the triumph of the quartz watch. 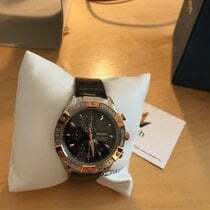 Prices subsequently fell rapidly and quartz watches became a mass-produced product that not even long-established industry giants like Patek Philippe, TAG Heuer, Breitling, or Omega could ignore. Even Rolex offered models with quartz calibers for a period of time. Today a Rolex Oyster Quartz Datejust ref. 17013 costs almost 3,000 euros in fine condition. The quartz crisis caused many smaller mechanical watch manufacturers unexpected problems from the late 1970s to the mid-1980s. Many of them even had to close up shop. Seiko itself was hit by the crisis and temporarily halted the production of mechanical watches under the Grand Seiko label in 1975.